The intention for this fun and transformational day is to help you to open and strengthen your relationship with angels. One of the delights to be experienced is to discover just how loved and supported you are. 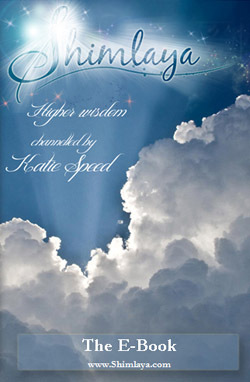 Angels love to share their love and wisdom with you for continuous support. During our day together you’ll discover how close they are and how you can receive their messages. Being able to receive direct communication from that angels can be very healing, fun and priceless especially when presented with life’s decisions. One of the methods we’ll use is angel cards so that you can have fun, giving yourself readings without having to look in the book for answers, experiencing the joy of the angels speaking directly to you. We’ll also cover how you can open or strengthen your own intuition and ways your angelic relationship can flourish. Please bring some angel cards with you. There will also be group questions and answers, where you’ll have the opportunity to ask Shimlaya, the being of light that’s works with Katie any personal questions you may have.